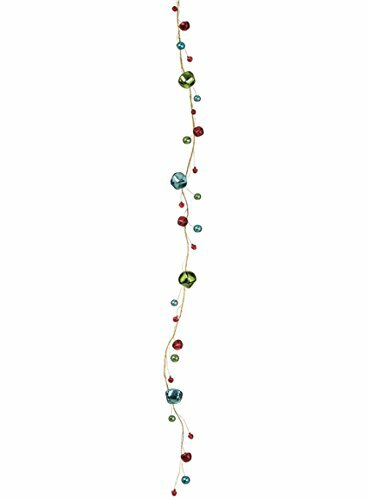 Get in the holiday spirit with this jingle bells garland! The shiny multicolor bells dangle from a gold-tone metal wire garland. Hang on or above a door, or display on a table or mantel for a fun and festive decorative display. Garland measures 5' long.